ISO 9001 is the world’s most recognised Quality Management System standard and is used by over a million organisations across the world. 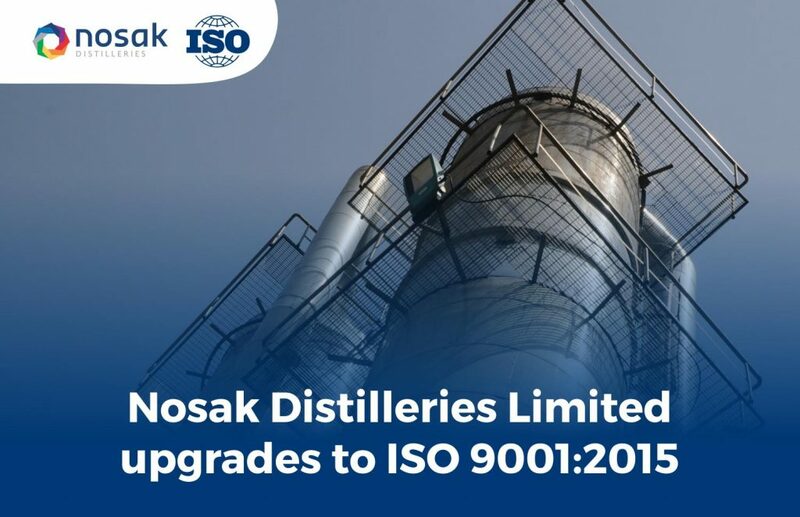 In line with our aim for organisational excellence, Nosak Distilleries Limited was recently upgraded from ISO 9001:2008 to ISO 9001:2015. This new standard is an opportunity for us to align our strategic direction with our quality management system to help enhance and monitor performance. At Nosak Distilleries Limited, we understand the value of an effective Quality Management System that ensures we are focused on meeting customer requirements and they are satisfied with the products and services we provide.